Friday, 2/22 and|or Saturday, 2/23. We work with a coalition of 14 churches (called the NECH) to provide a soup kitchen every Saturday morning in Philadelphia. 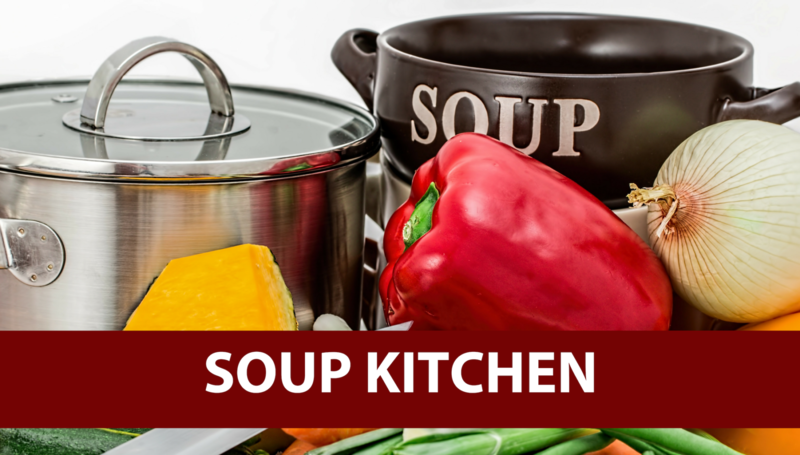 You can be part of this effort by helping to prepare the meal Friday night at our church, serving the meal in Frankford on Saturday morning, or both. Contact Mark and Barb Yantek (215-641-4928/[email protected]). Clothing items are also needed: sweatshirts, coats, small blankets, socks and sneakers (new or clean/used in good condition). Items can be left in the container marked SOUP KITCHEN CLOTHING DONATIONS, by the Fellowship Hall coat racks.